In 1987, a dedicated group of parents, concerned about the quality of their children's education, began investigating alternative but proven educational methods and philosophies. Two years later, after extensive research and shepherding from experienced Waldorf educator and mother of five, Nancy Jewel Poer, our school became the 121st Waldorf School in the United States. The first Kindergarten class began in a barn on the White Feather Ranch of Nancy and Gordon Poer on September 29, 1989 (Michaelmas). The school was incorporated in 1990 as a private, non-profit, tax-exempt, non-sectarian educational organization. The following year, the school relocated to property owned by a founding family, the Hodgkins. Parents of the new school volunteered their time during the summer to build classrooms for the students. ​Soon, other parents in the area heard that something educationally fresh and exciting was going on at Cedar Springs Waldorf School. This resulted in increased enrollment and the need to find a larger site for the school. After months of site evaluation, a portion of our current campus was purchased. Initially, the only building on the property was a converted two-story house that had been used as a preschool. This building now houses our school office and kindergarten classrooms. As the success of our school continued, we needed more space and over the years, an adjoining parcel was acquired to enlarge our campus and more buildings and classrooms were added. Each of these projects was made possible by parent donations and hundreds of hours of volunteerism. ​In 1998, our first Eighth Grade class of 10 students graduated. Today, we have nearly 180 students, with programs ranging from Parent-Child, a three-day Kindergarten program, two full-time Kindergartens and First through Eighth Grades. The Faculty has increased from one part-time teacher to 13 full-time class teachers and additional assistants, special subject teachers, support staff and administration. Our growth and success at Cedar Springs is grounded in parent involvement and community-based leadership and we remain committed to building a strong and vibrant community to serve our students well into the future. Cedar Springs Waldorf School is a full member of the Association of Waldorf Schools North America (AWSNA), a non-profit organization whose purpose is to support and encourage the work of Waldorf schools in North America. 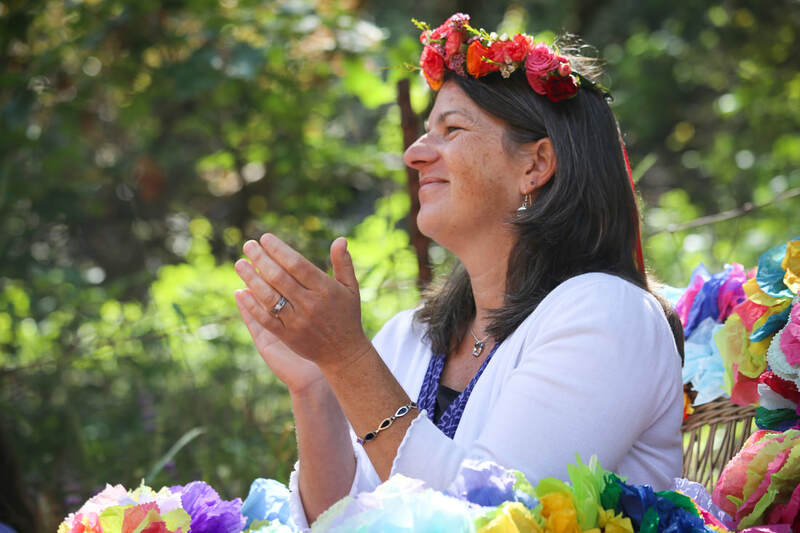 As a full member school, Cedar Springs is committed to supporting and furthering the work of Waldorf Education in North America. Attendance by our school's delegates at the yearly AWSNA conference allows our school to keep abreast of new developments in, and issue of, the wider Waldorf school movement. CSWS has received three seven-year accreditations from AWSNA, the first in August 2004 at the AWSNA delegates meeting in New Hampshire. CSWS was re-accredited in 2018 for our third, seven year full accreditation. May help us fulfill our purpose. May the light of inner vision guide us. Blessing the world with their deeds.